Cozy, comfortable, and affordable: those are the perfect words to use to describe Harolds Mansion in Dumaguete. Harolds has been since many years the No 1 place for backpackers. The Guest House is located 10 minutes south of the Sibulan airport. The hostel is easily accessible through public transportation. It is also close to the center of the city, and in walking distance to the well-known Silliman University Campus, so guests can spend their days relaxing and rejuvenating. The Guest House offers a marvelous view of the nearby mountain range from their balconies and the chill-out area on the roof-top. Harolds Mansion offers two kinds of rooms: their regular rooms and their eco-rooms. Their regular rooms have an air-conditioner per room, while their eco-rooms only offer fans. For their fan rooms, they have a single eco (with a single bed, for one person, less than $10) and a double eco (a double bed, for two people, more than $10), with these rooms sharing a common bathroom. They also have a single and double private eco-room, for your own bathroom. 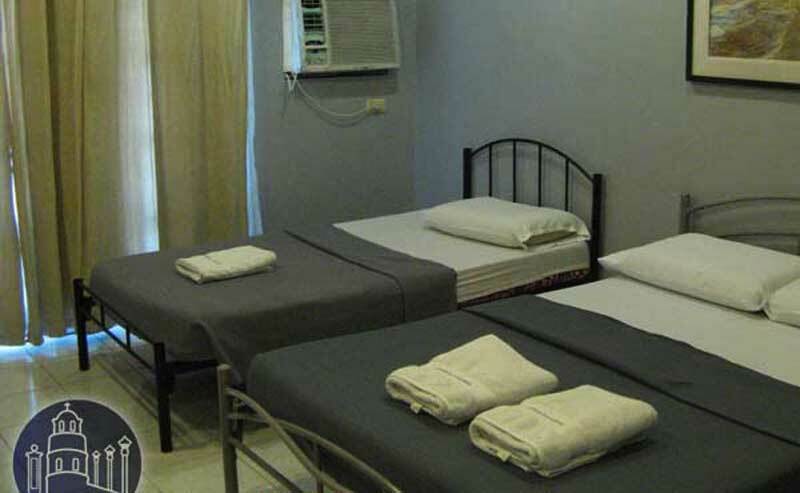 The hostel offers a wide range of amenities, such as a cable television, air-conditioning, a restaurant and a smoking area. They offer free breakfast and coffee for all hotel guests, as well as safety deposit boxes for your valuables. They also have a luggage storage area, as well as a shared lounge and TV area. Harolds has a 24-hour concierge and some space if one arrives with, or rents a car in Dumaguete. 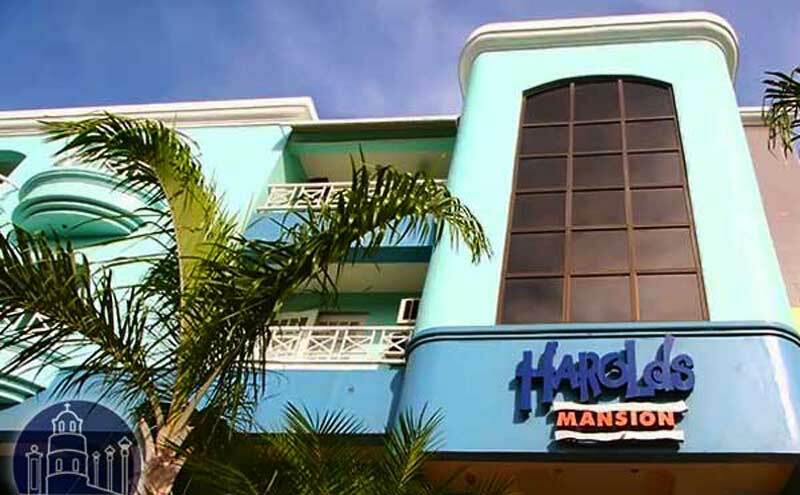 Harolds Mansion is a vibrany hostel when it comes to fun and leisure. 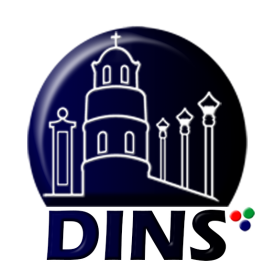 For starters, they offer a bike rental service for those who want to go around Dumaguete in a fun way while getting some exercise. They have a laundry service, and airport transfer service. Harolds Mansion also offers package tours for those who want to maximize their stay in Dumaguete, and for the ultimate tourist trip, they also offer scuba diving lessons and courses. 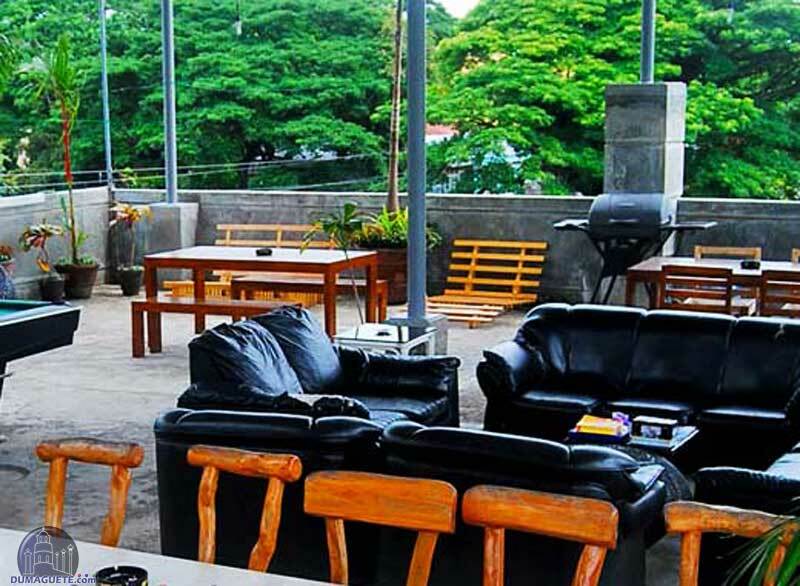 If you’re looking for the ultimate hostel and backpacker spot stay to accommodate all your needs in Dumaguete, then Harolds Mansion is an excellent choice. Whether you’re traveling for business or for pleasure, guests can find everything they need in this place. It is affordable, easy to get to, and offers a nice view on the rooftop where many guests hang out in the evening, exchanging their travel stories.